2016 is going to be an exciting year for Divi. We have so many amazing things planned, and we are happy to kick things off with the release of Divi 2.6. This new version of Divi comes with an updated Divi Builder, including new modules, improved modules and our new responsive editing controls. Divi’s theme options have also been expanded to include two brand new header styles and a completely re-designed Theme Options panel. That’s right, after 6 years of neglect, ePanel has finally been revamped to embody Divi’s clean and modern style. There is so much to explore in Divi 2.6, so let’s jump into the details! Perhaps the most exciting feature in Divi 2.6 is the Divi Builder’s new Responsive Editing controls, which allow you to assign different sizing and spacing values for each breakpoint. Divi already looks great on every device thanks to its responsive design and fluid grid, but sometimes when you modify a module’s Advanced Design Settings, it can be difficult to make sure everything looks perfect on every device. That’s where the Divi Builder’s new responsive editing controls come in, giving you increased control over the sizing, spacing and visibility of modules on each responsive breakpoint. Whenever you modify a module, row or section’s sizing or spacing, a new icon appears that, when clicked, activates the Divi Builder’s new responsive editing controls. These controls allow you to assign unique values for each breakpoint. For example, you can create a custom Fullwidth Header module with big and beautiful text that fills desktop screens, and at the same time you can reduce the size of that text on mobile devices to ensure that it’s readable no matter how your visitors are viewing your page. In addition to being able to adjust sizes and spacing, you can also disable entire modules on particular devices as well. All modules, rows and sections now come with a new Disable On setting that allows you to disable the element on smartphones, tablets and/or desktop computers. Often times it is in your visitor’s best interest to strip down your website’s mobile version so that the small screen is not crowded with an excess of information. You can even duplicate modules, creating two different versions that are served to different visitors based on the size of their screen. Divi now comes with 2 new header styles that can be selected via the Theme Customizer. The Slide-In and Full-Screen headers are both great additions to Divi’s already versatile header controls. When the new Slide-In header is enabled, your primary and secondary links are consolidated and hidden within a classic hamburger menu. When clicked, your menu items slide in from the side of the screen. This new app-like style is becoming more and more popular in the mobile era. When combined with transparent header backgrounds and custom accent colors, you can easily give your Divi header a modern new look. The Full-Screen menu also hides your primary and secondary navigation links until the hamburger menu icon is clicked. 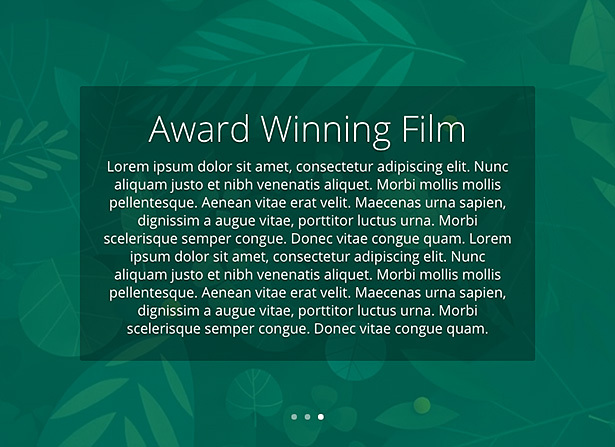 Your header is then presented in a beautiful full-screen style. 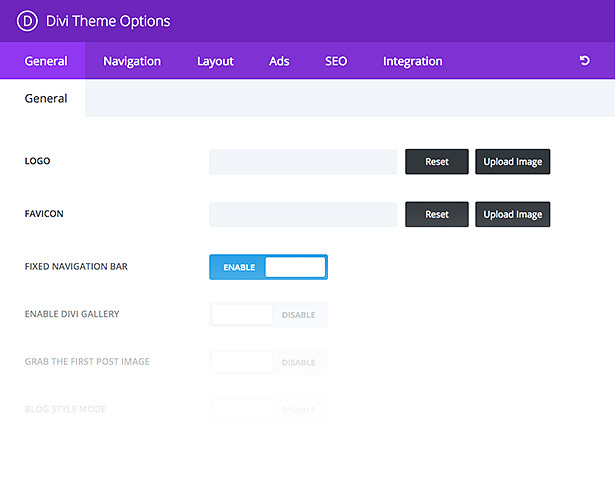 You can easily customize the color, opacity and size of the menu and the links via the Theme Customizer. These two new header styles, when combined with Divi’s plethora of customizer controls, open up a whole new realm of possible header styles. Divi 2.6 comes with the newest version of the Divi Builder, including five brand new content modules. The more modules that the Divi Builder has available, the more layout opportunities present themselves and the more versatile Divi becomes. In Divi 2.6 we have expanded the Divi Builder’s arsenal of content elements. Several Divi Builder modules come with buttons. Sliders, Call To Actions, and Email Optins just to name a few. However, there has never been a way to add a stand-alone button to a Divi layout. The button module solves this problem by separating the Divi button into its own module. When combined with the module’s Advanced Design Settings, countless button styles can be created. The Post Slider module works just like the standard Divi Builder Slider module, except that instead of building out your own slides, the content of the slider is populated by your featured blog posts. This is a great compliment to the Divi Builder Blog module, and it’s a great way to feature your favorite posts in either a standard or fullwidth section. Comments are a standard part of every theme, and they typically appear at the bottom of your post below the entirety of your post content. We have taken this comment form and turned it into a Divi Builder module, which means you now have full control over where your comments are placed within your post content. It also gives you the new opportunity to customize the appearance of your comments via the Divi Builder’s advanced design settings and custom css options. Until now, the only way to add a search form to your website was using the standard WordPress search widget. However, this was limited to widget-ready areas such as the Divi sidebar and footer. We took this search form and turned it into a Divi Builder module, complete with new controls over search results and design. Post Navigation is another common part of most WordPress websites. Typically post navigation links appear at the bottom of each blog post, inviting your visitors to read your next and previous posts. We took these links and turned them into a module that can be placed anywhere within your Divi-built page. The module also comes with some great options, such as the ability to limit post links to posts within the same category as the post that is currently being viewed. This simple option greatly improves the relevancy of the post links being generated, increasing the probability that visitors will find the content engaging. Not only have we added new modules to the Divi Builder, we have also greatly improved some of the builder’s most popular modules. We realize that adding new modules isn’t the only way to make Divi more versatile. In Divi 2.6, we have listened to our customers’ most demanded feature requests and updated some of Divi’s most popular modules with a few improvements. The Contact Form module has received the biggest update, with a complete overhaul of the module’s core functionality. 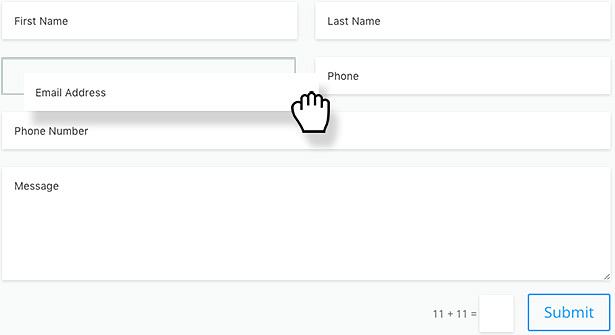 Custom Form Fields – The Contact module now supports custom input fields, making it a fully-functional form builder. Honey-pot Spam Detection – Sometimes a captcha isn’t enough. They can also be frustrating for users. This is why we have added honey-pot spam detection to the contact form, which is a completely invisible, effective and unobtrusive method to detect spam bots. Custom Message & Content Order – You can now adjust the content of the message that your contact form creates, including the ability to adjust the order of the field inputs using output variables. Redirect URL’s – You can now assign a custom redirect URL. This will re-direct the user after a successful form submission. Custom Success Message – You also now have the ability to adjust the success message that is displayed after a successful form submission. All slider modules now come with a background overlay option. When enabled, a semi-transparent background color is placed above the slide’s background image, but below the slide’s text content. This can be used to reduce the contrast and add color to your slide’s background image while at the same time improving the readability of your slide’s text. Both the Image and Blog modules now come with an image overlay option. When enabled, a customizable icon and background overlay color are placed over the image on hover. All slider modules now come with a background overlay setting. When enabled, a semi-transparent background color is placed behind the text content of the slide. This helps ensure that your text will always be readable, no matter what photo is used in the background of the slide. We have gone through and audited all of Divi’s Custom CSS options to make them easier to use and fill in missing options. We have audited the full list of Divi modules to make sure there were no missing elements with the Custom CSS tab. Dozens of new CSS options have been added, making every single part of each module completely editable. We have also made these settings easier to use by adding the CSS Selector to each text field, making it clear exactly where your CSS is being added. ePanel Get’s A New Look! A lot has changed since ePanel was originally designed, and we are happy to finally update our theme options framework with a contemporary design that feels at home inside of Divi. It has been a long time coming, but we are happy to announce that the original ePanel design (which has remain unchanged for 6 years) has finally been re-vamped to match Divi’s sleek and modern style. Our other Divi Builder theme, Extra, has also been update with this new design. Some structural changes have been made to Divi’s page template structure, improving compatibility with various plugins. Various plugin compatibility issues (particularly issues involving BuddyPress) have been addressed. Ensuring compatibility with the most popular WordPress plugins is something that we will continue to focus on as Divi matures, so be sure to let us know if there are any problems that you would like us to fix by opening a suggestion in the support forums! Enter To Win a FREE Membership Or Account Upgrade! When we release new theme updates, we like to celebrate by giving away some free memberships and account upgrades to our lovely followers! Entering is free, simply follow the instructions in the widget below. We will announce the winners next week. In the beginning of this article I said that 2016 is going to be an amazing year for Divi, and I meant it. We have some of our most ambitious updates planned for this year, and our entire team has regrouped and rallied behind the cause. We can’t wait to keep building what we know will continue to be the best WordPress theme on the planet, supported by the most amazing community on the internet 🙂 Stay tuned for more updates! Nick and team this looks great! I agree. In the competitive world of WordPress Themes, Elegant Themes still manages to stand out from the rest. You guys are really amazing! Thank you for all that you do! Just great, awesome! My clients would definitely love these! What a wonderful theme. Elegant themes is certainly a leader in this field. One (I think simple) addition that divi needs is a simple method of changing the text in the footer. Should not need an extra plugin to do this. So glad that I have the opportunity to use this theme – nothing else even close. Used Studio press for a number of year, however spend a lot of time programming workarounds. Sometimes a company sees the future and goes there before anyone else can even thing in this new box. Your team and company is to be congratulated. Awesome. Love the header options in particular. Looks great! Excited to get this rolling on my current builds! That would be an awesome feature! That would be a cool addon. Hey fellas, I hate to be “that guy”, but I’m the content marketer for Flow XO, and with our Email Parser trigger that we launched recently, you can achieve this without the need for a webhook. I’m a long time Divi user, but I haven’t tried out this particular module, so I’m not sure how the email notifications are setup, but provided they are mostly standard, it would be easy to set this up. We actually did an example workflow showing how to do this exact thing, but with Contact Form 7. You can check it out here. If there’s enough interest, we’d be happy to do a post on the Elegant Themes blog to show how to use it. Let me know what ya’ll think! Another superb update. Love the new e-panel look, very modern and keeping with the sleek Divi design. Hard to pinpoint which new feature I like the best because there is so many but the two new header designs is great and I’m sure will lead to some quality new designs. I very much like the look of the Posts Slider, great to see the Contact module getting a much needed upgrade and awesome to see BuddyPress integration improved. Well done Nick and the rest of the team. I am agree with you jorge ? Awesome awesome awesome. I just love this version upgrade. So many things we have been asking for. Thanks Nick for listening and providing. Does it get the pt_PT language? Cool….will start experimenting now..Thank You ! Great work. But I wonder when or if we every see the merging of Divi and Extra. I love Extra but it is useless to me as long as I cannot create a page with the modules from BOTH themes. Makes no sense to me to leave out the Divi modules from category pages. How shall I build a great homepage where I need ALL modules? Hi, Florian, sorry for this comment, but i want to tell you that i have tested Extra, and i’m using it in one project and all the divi modules are available in extra. Maybe i missed something, sorry if i’m not correct. The only problem with extra is a bug with the responsive design. This is pretty awesome. I’m considering switching to the Extra theme, though, as I like the magazine features. Do these updates also apply to the Extra theme or the individual Divi Builder plugin? Or is it only the Divi theme itself? All Divi Builder updates are shared between our Divi Builder products, including Extra and our Divi Builder plugin. So if I want to see how the menu system in Extra was done I should download Extra theme activate it, open it up and take a look? It flips down and has pictures in the menu itself (I guess they are actually blog posts) and the other menu items have lines between them. Very promising update. I’m excited to update my personal homepage. Great job. Awesome job! The updates are just what we were wanting! Shame ! 25th. You corrected. WOW! You guys have really outdone yourselves. I can’t wait to update! Thank you for the additional modules (buttons!!! ), background overlays, and improved e-panel! Looks like an amazing update to Divi and can’t wait to use it! I’m excited about the new contact form features! You are like rockstars for me, THANKS!! amazing job! Congrats for the features available on DIVI 2.6, especially the button and search module. I can’t wait to play with the slide-in header ! Does the new slide in header work for only mobile?? Since I have a lot of nav bar i would like to try this out as a mobile only option and leave my nav bar as is for the desktop and tablet visitors. Great update! Will these changes also make their way to the Extra Theme? Or will they evolve separately? These updates look great! I especially like the responsive controls & the new header options. Job well done! You guys are absolutely incredible. You improve WordPress so much, they should pay you royalties. Wow! I was hesitant to join elegant themes…that was less than a year ago but the updates the keep getting pumped out are just astounding. Almost every time I figure out a work-around to do something Divi doesn’t do the team releases an update that bundles that function right into the divi core. Buying a lifetime pass to elegant themes was easily the best decisions I’ve made as a website developer in the last five years. Could not agree more Jon. I’ve been playing with web design for years and until Divi I felt it was too complicated for me. Now, designing web sites is easy and intuitive. I am on a strict budget but decided to support this great team and I too bought the lifetime pass. Long run, very well worth it, can’t wait to see more Divi updates in the future. I am absolutely blown away! I have been wanting these upgrades and options for so long and now I have even MORE flexibility than ever before!!!!! I am very curious about the new features! I would very much like to know what QA was done in upgrading from 2.5. Hopefully not another site-breaking experience that we had with 2.3 > 2.4. Can you provide test results on upgrading a fully-built out 2.5.x site to 2.6? A fantastic addition to already a great theme, the functionality you have added to the Divi Builder is something that was really needed to keep up with modern trends. The new headers are a treat too, enabling flexible design. its possible to use divi builder with custom posts? content sites like membership sites etc… are all driven by custom post types. We need custom post support too. Until Divi / Extra supports them still need to rely on other themes for our serious sites. +1 for CPT. Adding Post Types to Search and Posts Slider would be a great enhancement. Another +1 for Custom Post support in all the Post-related modules as I’m having to use Code module and custom shortcodes and really want to use the built-in features! One more +1 for Custom Post Types. It’s the only thing keeping me from using Divi everywhere. Another +1 for custom posts and variables! TO be able to use Divi format ACF/Pods would make it the super CMS. Then on to Conditional Logic. I look forward to every update you guys release! Thank you so much for your fantastic products! Fantastic! Divi just keeps getting better and better. I’m really stoked that you’ve updated the ePanel as well. One of the best investments I’ve made in the WordPress space! To everyone reading this, if you don’t have a membership, get one, you will not be disappointed! Don’t forget Monarch and Bloom that come with the deal! Great update. You guys are the best!!! Awesome! Nick Roach and the rest of the gang at Elegant Themes continue to amaze me! I’m not seeing 2.6 in the download area…help! Yea looks great, how do we get it? Ah! I LOVED seeing this announcement hit my inbox. I’ll be downloading it now and checking everything out. Great job guys! Wow! It’s amazing! You’re the best! I will check the update and I will send you the updated Hungarian translation. Finally the postslider! Great job with all the updates! so excited about the new ePanel best surprise ever! This is awesome! Thank you! I’ve been waiting for stand alone buttons and the post slider is the bomb dot com. Great Job guys! Good to see these new features will also be available in Extra thanks to the Divi Builder. Very nice! btw – after installing i found the theme options didn’t look right with the Divi child theme. After i switched to the main theme they were fine though. I’ve had that same problem Chris, did you manage to solve it? Stopped using a child theme — that was the only way to make it work. Sorry about that Chris. We have a fix coming. Love what you added but frustrated. Glad to hear this Nick. I’m waiting to update to 2.6 until the fix is out since I’m using a child theme. What a fantastic array of updates. You and your team are amazing! We have been using Divi since 2.4 pretty much at work here and made 3 complete independent and unique looks with it, and I can tell from experience that the changes in 2.6 were quite needed and will make it even easier to create unique websites without too much custom coding work. The best part in this update probably is the ePanel overhaul, looking forwards to using it! Particularly interested in the responsive editing options. Will play around with them. Great theme, with new possibilities. And the UI of the backend is still as good… no wait… BETTER! the best is even getting better. Finally the much needed contact form. Looks great! Anxious to try some of these updates – especially the Contact Form. Is there Carousel module like Extra? Very useful new options. Thank you guys, ET team is the best! However, there are things you need to fix. 1. Polish translation is soooo unprofessional. It’s like google translation. It looks like it was translated completely without logic. 2. Capital letters in module settings. Capital letters in longer frazes are less readable and take more space. It’s totally against UX basics. And it’s getting worse when translation makes those frazes longer. This is a great upgrade Nick! You guys rock !!! I will be the first one to upgrade and feedback to the community on what a great theme. I really like this method of Elegant Themes, Now you guys focus on quality not quantity. that’s why you are now the best in the market of WordPress regarding Plugins and Themes. With so many cool changes, it feels so fresh. A good update for the new year. Thank You, Thank You, Thank You! Appreciate all you do. it’s a great job ! I have just a little problem :the e-panel is not displayed correctly with my child theme. Sorry about that. We have fixed the issue and will be releasing 2.6.1 in a few hours. Sorry to report that I have the same problem. My e-panel does not show the new look and appears without CSS. I tried your solution to the problem by deleting the cache of the browser (tested on Chrome, Firefox, Edge, IE) and I can not make it work. I even tried not to use the Child Theme and use Divi directly, and nothing. I hope update to version 2.6.2, because do not understand what may be happening. Otherwise, I think you are doing a great job. Congratulations to all the team!. Great job. Looks as though the fix in 2.6.1 has worked. Now I can update my other sites. Most exciting update so far for what I was needing. Especially ability to disable certain modules for mobile and the ability to design for phone, tablet, and desktop at once. Keep up the great work! As a new user this week, it’s been a rocky road. Lots of ad pop-ups while I am logged in (as a lifetime member) – so I don’t need them. The tutorials I watch have been out of date. But I want to love Divi so looking forward to being able to download 2.6 version before I get too knee deep in the one I’ve been using. Thanks! Those popups drive me nuts! I’m also a lifetime member and the entire time I spend on the site I’m constantly closing down popups that are blocking my ability to read and are trying to get me to join. So, OK, I joined already. Can I please see the site now? Hey Just wondering is the css missing on the ePanel page for everyone or just me? Me too. I am using a child theme and the CSS for the Epanel is missing. I have choosen the DIVI theme and the ePanel is OK. It must be a bug. Sorry about that. We have fixed the issue and it will be added to 2.6.1 later today. Custom fields for forms. Hopefully this will extend to bloom!! These updates open up a whole new world of possibilities. The ability to control responsiveness with such precision will be a big help to anyone using divi. Button module is always something that’s been needed. This is just fantastic. Well done Divi – it’s nice to see you guys actually put out updates that people want and need! This is huge for me! Have to say… having bemoaned the lack of basic customisation options of the contact module several times… this sounds excellent! Those of us using Divi already – how do we upgrade? I don’t see this on your website. Install the theme updater plugin, which you get from your account in Elegant themes. Then upload it to the plugins section of your site and activate, add your api key which you get from your account section in Elegant themes account page. Then go to the themes page and on the top right of the theme box you will see update available, hit that and then follow instructions. Thanks. I was confused because the Divi on the site has no version numbers, so I couldn’t tell 2.6 was there. Then today I was upgraded by WordPress. Love it. Looking forward to try full screen header. 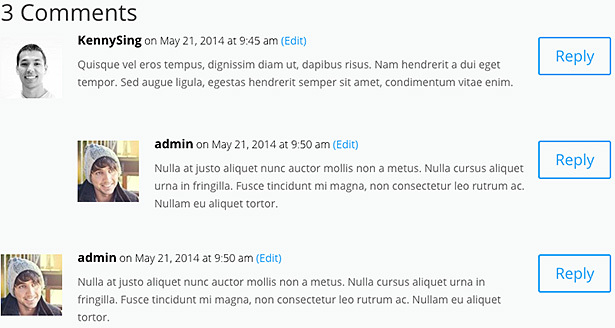 I really can’t express how excited I am about the custom CSS for columns…. These are outstanding updates. Thanks for the hard work. Really looking forward to making use of the new features – quite possibly on our own new website! It’s always nice to see that I will be able to make something completely different with this theme so easily. Fantastic update! Thanks so much for all the hard work ET team! Using my child theme strips out the CSS for the new ePanel. What do I need to change in my child theme? THANK YOU!! Good heavens, I think you’ve solved every one of my concerns EVER!!! Except editing the code in the Secondary Menu, above the site where it defaults to give you email and phone. Awesome Job. There was an bug with crayonsyntax highlighter .. I will be checking to see if this is fixed when I update. Is there any way to incorporate disqus with the new comment system ? I’m liking it already, especially the headers! Looking forward to it! Great! Excellent upgrade! I am very excited to try out some of these new features. New ePanel, new modules – very good moves! This all looks very exciting! Jaw. Dropped. This is giving me a lot more usage out of this theme and much needed. You guys are nailin’ this out of the park! Great work!!! Great theme! Thank you for continuing to make it even better! Wow! An even more enticing reason to become a member! I’m downloading to try out Divi on my next client’s site! You made my day with the new Contact Form! These new options and modules look outstanding. Well done and thanks to the whole team. Do the giveaway upgrades work for upgrading to a lifetime membership? thanks you ET! I am so glad Divi is part of my workflow life! great work. I have NEVER been first to reply! Great job. Keep up the good work. How about a masonry portfolio for photographs? Not blogs, just photos. And I guess I’m still not! Randy, go through the ET “12 Days of Divi”, one of the days had portfolio downloads, and the masonry portfolio for photos is there, I just used it on a site and it’s beautiful. Great start to 2016 with this Awesome update! The CSS update really excites me. I can finally see exactly where I’m going with my code, instead of just guessing. What wonderful new features! Well done! Brilliant work yet again Nick, updates that will truly make a difference… Well done. And I was starting to get used to Extra. I’ll have to suspend that and get on with Divi 2.6 right away! You guys are BEYOND amazing! Does it work properly with Sensei? I too would like to know if it works well with Sensei as I was abut to buy it! Great update! Especially like the responsive editor! I was having an issue in the regard as late as today. Excellent. The look of my ePanel is off – hopefully it will be fixed soon. Good job guys! New ePanel!! With every update it just keeps getting better and better! All the widgets seems to be gone after updating. I just updated, crayon syntax is not working yet. I’m hoping for an update/bug fix soon. Until then i’m dead in the water. Is it me Nick or the Contact Form honey-pot is visible below the message field? By the way, Really impressive feature : deactivate module @media !!! Fixed ! Compatibility issue with Divi Children 2.0.8 child theme. So many goodies in this release guys. Love the Divi team!! Really liking these new updates. Can’t wait to try everything out! Woo! Ready to break all my sites with updates. Amazing, great job guys! If this is what we get on a dot update, I can’t imagine what Divi 3.0 will bring. YES! PHONE NUMBERS ON THE CONTACT MODULE!!!!! This is a solid update and definitely helps keep Divi competitive. Once you guys get some real control over the post and category pages (instead of keeping those in Extra) Divi will be a first class contended for sites I currently wind up using X for. Absolutely superb job, guys! Keep it up! It’s unfortunate that you opted to splash some paint on ePanel rather than placing those options in customizer. Wow! The slider overlays are a dream come true. So awesome! Thank you! I hope that these updates will be applied to Extra soon! I just used it on one of my projects and these updates would be perfect!! *Fist Bump* Great job team! Thanks for all these news. And thanks also for Extra 1.2 update !! So many updates that you can’t announce them all on the same day. But I just upadated my Extra powered magazine and all little problems are solved, with a great updated ePanel too ! And again, amazing new features. Never disappoint us. I’ve just encountered one little prob that i’ve already mentioned in the support forum. Congratulations for the nicely and well done work. I can’t wait to get my hands dirty playing around. Love the new responsive options – it will save me a ton of time being able to control mobile/tablet options right in the settings. Looks great. Well done Nick and the team – there are so many of the updates included here that many of us have wanted to see. Awesome work! I love the frequent updates. Some much desired updates, still I look forward to more. I too am confused about the split between ePanel and customizer… is there a plan to just use one in the future? You just might have convinced me! AWESOME! You have fixed some of my biggest issues. THANK YOU! Nick’s team does it again. I love their continuous improvement. Now if they can add better support for WooCommerce I would truly be in developer heaven. God ! Really need an account *-* !!! The Settings icon (hamburger) link for sections, rows and modules is broken in Chrome. Clicking it does nothing. Works fine in Firefox. Didn’t bother to check in IE (or Edge). We had a few reports of this, and they were all cache related. We saw specific issues with the WordFence plugin, which caches all admin files but fails to version them when the theme is updated. You should clear both your browser cache and your WordFence cache. It may be related to other caching plugins as well, so just clear it all to make sure the new Divi Builder files are being loaded. Whew! Turns out it was a browser cache issue. Perfect way to end the day with a new theme update! Great job guys! Well done guys! Love the buttons and contact form modules. You did a great job! Can’t wait to try the new features. Great new features. Divi just gets better and better! I wish I knew about Divi two years ago! Great way to build a site quickly. Love what other people have created. A question about the post slider menu, how to change the text button “read more” ? I noticed that the behavior (settings button not working after upgrade to Divi 2.6) is ALSO present in FireFox 64bits – Internet Explorer v 11.63.10586.0 Update versions 11.0.26 – Opera 34.0.2036.50 – Google Chrome 48.0.2564.82 all running over Windows 10 Pro 64 bits English version 1511 OS Build 10586.63. I have a complete set of screen captures If you need them. I could isolate the origin of the settings button bad functioning due a compatibility issue when WPML Multilingual CMS Version 3.3.5 is active. I was able to edit each and every module, using the settings button, when editing a page or post while the WPML plugin was disabled. As soon as you re enabled the WPML plugin, the settings button in DIVI 2.6 does not function. again. HOPE THIS WILL BE USEFUL FOR YOU TO TROUBLESHOOT THE BUGGY BEHAVIOR. Thanks for the info. I followed your instructions but I am afraid to tell you that it seems that this issue is not directly related to a cache problem. I identified that the behavior extinguishes with WPML diseabled and reappears when WPML is enabled. What have in common the two (or more) plugins you already detected that can be interfering with the popup setting window? Hoping this reflections can help you guys in your troubleshooting work. I have the same problem, well in one of my site i have upgrade to 2.6, i don’t have the wpml plugin, but i have Event Manager. I’m going to check my other sites with Divi, they’re still in 2.5 but with Wpml. Congratulations on a new revised version! We just started using it this month, so it’s amazing to have new features so early. Amazing work guys! Some of these improvements – (read contact form and search box) have been a long time coming. I’m assuming that Extra will have these same features as well? Sounds like a solid update. Although been waiting and hoping that you would add in random order option on the blog and portfolio modules. Slightly disappointed that’s still not there. Really interested in the blog slider though, sounds interest in. Some features implemented are in my dream… and now reality! The new features look great, can’t wait to try them out! So glad to see these new features in Divi 2.6. Lots of new shiny to play around with and especially liking the updated ePanel! Congrats Elegant Themes team on a great job! First of all, congrats on the great job you guys are doing! Already updated one of my Divi installations and have been testing the new modules. Post slides are great and will transform the way things work in the site. Meanwhile i was wondering if an audio module capable of displaying a Spotify or Deezer playlist is in yours future list. Once again, great job guys, great, great job! Almost everyone of my daily gripes and css additions fixed in 1 swoop. I am super excited for the new additions and they came at the perfect time. I have some new clients that I wanted to try this on and I can’t wait. Love the contact feature because I would rather use your options than have to go find a form builder. I also love the option to change the breakpoints and the stand alone button that one was highly important to me as well as my clients. It will be great to use the new theme!!! Wonderful, Divi just keeps getting better and more beautiful with every new release! Amazing upgrade! Can’t wait to dig into the new features.Thanks! Hi guys, it looks good, BUT … I just upgraded a site to this and I can see the DIVI info, but it looks at pages generated in DIVI with no text or page info. For new pages or posts it gives the option to use DIVI but nothing works when you click it. May be it’s just me, turned off all plugins, HELP! Sorry about that. We have identified this as what we think is an IE/Safari issue, and we should have a fix for it today. Thanks Nick, I’ve just tried it in Firefox & it’s all there. I’ll just use that for now, (no one really likes IE anyway ha ha) BUT as always you guys come through, great job, with responses like this everyone should have a lifetime access account with you guys, you’ll always help whenever you can! Great news! Thanks for all the improvements! Could we get the same post carousel module as in extra and a similar looking equivalent for projects (right now the projects carousel looks very different in comparison with the post carousel module)? And could you please find a way of defining alle the fonts used in the complete theme (including size, spacing etc) with simple switchers and implement the possibilty of using typekit? The newspaper theme at codecanyon does a great job in this regard. That would be a huge improvement! New e-panel design looks solid! New updates cover a lot of things i was wishing for. And keep working this way..
Just tried the text overlay feature in the slider module (fantastic add! ), but see that the button isn’t included within the text overlay area…will this be added at some point? This is so exciting. I’ve been waiting. Love Divi!! Absolutely love the new Divi Features. Looks like I may be coming back with all the new changes!! WOW guys I love this theme and your continued dedication to improving it is just unparalleled … thank you ! Wow! Love all the updates and new options. I can’t wait to try them out! Great to see some very useful new features. Thanks for the continued work on what has fast become my go-to-favourite WP theme. I am so excited with the new updates and look forward to implementing them! Thanks again for all your hard work. The best gets better. 2016 is going to be a fantastic year for Divi. Will the new modules transfer over to the Divi builder as well? Excellent work. I do a new 1-25-2016 update for the divi builder. Looks awesome! I’m especially happy about the post slider and the overlays! Nick – more fantastic features (especially love the contact form improvements). Any plans to give the option of displaying posts in random order? This would be incredibly useful where for instance displaying entries in a directory style site and you don’t want Acme Co always coming out first! Great work! I was waiting for the Responsive Editing Controls. This one solves all my problems! It’s my 1st favorite wp theme. I just love the update. I try other companies’ themes, but I always end up back here. The quality of the work your team does is just outstanding. Thanks for being so customer-centric! Very excited about the buttons module and individual update for responsive devices!! Way to go! Awesome updates!! Thank you for your great work! It seems as if I am the only one running in to problems with this new update. Before the update everything was fine. As soon as I updated the theme, my divi builder lost all functionality. It won’t even open a module. I am trying to diagnose my plugins, but they were not an issue until the update. What is going on??? Somebody please help. This is absolutely great, it’s time for me to upgrade my membership! Keep up the good work! Wow! Very impressive, love it all. It’s time to start playing! Thanks Elegant Themes, Divi just keeps getting better & better. An awesome theme just keeps getting better. Thanks for all of the great improvements! This is the best version of Divi yet!!! I can’t wait to play around with it. Thank you for the BuddyPress support. I was just wishing for the different responsive modules earlier this morning. I have used them on other themes, but i am a lifetime access to the Elegant themes and am excited to get started with them. Are they available now? Perfect timing! Can’t wait to get in there and start a new site! Love the new tools. Every site built with Divi is so different, it’s truly one of the best blank canvas themes I’ve ever used. Keep up the amazing work. Divi is better than ever! Thanks for all new things in 2.6, it’s fun-tastic! I’m excited about this new update. Came just in time. Going to use Divi 2.6 for my new site. Been waiting with bated breath for this. Congrats guys! Looks like another winning update. Loving the responsive editing controls, this will definitely decrease the time spent on page builds. Also am excited about the smaller edits, such as the stand-alone buttons! These are great enhancements, thank you! This is a great update. Thank you elegantthemes. I really love the new menu system. This is just what I’ve been waiting for! Thanks Elegant Themes! Also, I’m looking forward to have more layout for contact form but the current update for contact is really awesome by the way. Great Job! Love the updates, one thing I would really like is an option in the divi panel to select site wide fonts and size (or at least size) so I don’t have to add any plugins or play with css, it makes such a big difference to the look of a site while making SEO work well. Congratulations. Will definitely check out the new version. Great to see Divi 2.6 is out! Is it 100% compatible with PHP 7? Is Monarch plugin also compatible with PHP 7? Is there any update in preparation for Monarch? Good question! It’s a shame not to be able to find an answer! This great theme just keeps getting better. I can get rid of a few CSS tweaks with this update (namely the slider overlays). Always nice when something you use regularly get easier to use. Thanks for keeping the updates coming and listening to everyone about what they like to see. I think that’s one of the things that really helps Divi stand out as the builder trend continues to open new doors for WordPress. This looks awesome. Looking forward to using it. I love the new contact form improvements and that Post Slider is something I was expecting you to add to Divi. The problem I have is that I can fairly readily do some cool stuff using Divi, that clients request in dynamic sites. I’m sure they could probably be done, but not with the ease and intuitiveness of Divi unfortunately. There are a lot of thing i want do to with Divi and now i can. Thanks for all ET team! I am sure the changes are good and are going to make all the users (including me), happy. Haven’t seen it yet but if you give me more control over category, I’ll be even happier. Excellent update Elegant Themes team! Finally you added some important options people where asking for. I can only say every day i am happier with Divi! Thanks for the update and keep on making Divi better ! This looks really amazing! I can’t wait to install the update. I had to download a fresh copy and manual upload via FTP to fix it. fabulous updates as always. Thank you! The new update broke my homepage layout. In fact, I can’t even edit it now. Now that we went to the new theme option panel could we add in an option to add in custom social media icons??? Is amazing , you guys always hit the updates . The update of the search bar and background for Slider are incredible . I am very happy to be a customer of Elegant Themes , thank you and keep this rhythm that will get to be the best on the planet . Perfect timing for the responsive controls!! Happy not to have to hand code all those media queries!!! Thank you! Still no solution to the main reason why I don’t use Divi (yet) for anything other than small basic websites: There’s no way to set global defaults on existing content. For example: what if I want to change the default post layout for all new AND EXISTING posts. Divi builder needs a new module that pulls existing text/HTML content from the WordPress editor and then the ability to set the created layout as default for all existing and future posts. For example: Imagine creating a new layout in the library and then including a WordPress content module that includes the text & HTML from existing content, then setting that library layout as a new default for new and existing posts and being able to set it as a default post layout without having to edit every existing post. This would enable us to style exiting content and set new default layouts. I don’t understand why Divi doesn’t already have this. Currently it’s a nightmare to make a site with thousands of existing blog posts looks decent. I really don’t feel like editing over a thousand posts one by one every time I want to change something in the post layout. Until there is a solution to this issue, I can’t use Divi on my exiting projects. Please do something about this major flaw! I agree with this idea David. Took me ages updating a site recently. Would be a great addition to Divi 2.7 . Really like the work done on custom CSS. Now I can pinpoint the area I am trying to tailor and make it easier to communicate to someone . Also the background overlay for the text area is really a welcome addition whe you need to make text more readible. Would like to see that feature in the full length header as well. I’ve used Chameleon on a couple of sites I manage for a client, and I love it. But I’m soon about to do a modernisation of my own sites. These were built with themes from other vendors before I ever discovered Elegant Themes. They all have their ‘eccentricities’. What I love about Elegant is the logical and consistent coding, the standardised Shortcodes and Plugins available across all themes, and the fact that there are never unpleasant surprises. I was already inclined towards using previous versions of Divi for the reworking of my sites because of its creative flexibility, which seems to allow you to easily retain features of your original site’s branding characteristics. But the more I find out about Divi – and this update has convinced me even more – the more I can’t wait to get started on a job I have been putting off. Divi looks like a winner in every way. Very exciting updates. Love the addition of semi-transparent backgrounds! 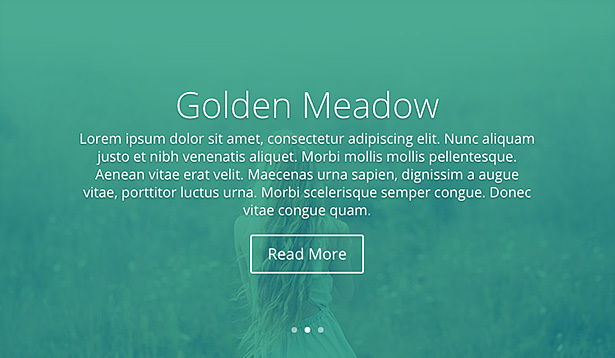 Elegant Themes and Divi continue to amaze! One of the best investments of my life. i <3 you even more… thank you for the stand alone button module – that is the best gift!!! Fantastic! Everything I wanted. Take my money please. I can’t wait to see what else Divi offers, especially how well it works with plugins. So that those of us who are not web developers can focus on our biz and not worry about the backend so much. Hey participating with this awesome theme! You guys are my hero’s. I love all the new modules. But am especially excited about the form improvement. I feel like it’s my birthday and Christmas all rolled into one day. Thanks so much!! Finally an update to the built-in Contact Form! Thumbs up Elegant team. Looking Forward to digging deeper. I am more than happy when using Divi and now they released the new awesome updates. Divi never ever let me down !!! Woot! I’ve been looking forward to several of these. It just gets better with every new update. Love Divi. Wow! Most of my wishes have just come true! Wow! I don’t have the words! Thanks!!! Awesome! This is really an awesome update! A lot of the stuff I’ve been asking for has been added. Good work! Rad. Thanks Nick and team! Nice updates, guys! This is one of the most complete wordpress theme. Running into a contact form issue. There is a small input bar underneath the message box on all my contact forms. I have updated them all using the new module, still getting the same result with no option to delete it. HELP please. I completely am falling in love with Divi!!! Thanks for the updates! I hope a warning greater that consider a module and que a new update is released soon with os settings. Much still admiring the topic and again, congratulations to team. P.s. : excuse me writing is a translation from google. I am Brazilian and I do not speak English. Looks like a big update! Love new buttons, search & comments options. responsive setting for each devices is really what dev need. I wonder is DIVI work with Yoast SEO? anyone help please? I tried it and it seems to work. Great update!! Not sure how I hadn’t seen Divi until today, but glad I found it. Very impressive. This is massive update! You guys are knocking us real good. Love every aspect of the update and thank God for refactoring the Contact form module! Looks great! I’m still hoping to change my Divi blog over to Extra, but waiting for bugs to be ironed out and to figure out the best way to do it. In the meantime I will belaying with some of these new options! I’d love a blogpost on how to easily switch from Divi to Extra! Divi just keeps on getting better and better. Truly the Theme to rule them all! These updates are way exciting. Loving the new slide in full-screen headers, and the honeypot for comments. I like the new ePanel design of Divi 2.6. However I found that it conflicts with some css code of WP Lightbox 2 plugin (Version 3.0.6.2 | By Syed Balkhi). The ePanel’s navigation menu shows blank entries when I activated WP Lightbox 2 plugin. So many amazing new changes! I think I’m most looking forward to using the custom forms module! Great additions to this excellent theme. Waiting for much more. what if there’s marketplace to buy or sell wp child themes based on divi? something like themeforest.com but focuses on divi as a platform. this will hugely boosts divi’s exposure and adoption rate for sure imo, and also wp designers/developers can benefit from such service addition. this will benefit clients as well since now they can not only purchase beautiful wp themes but also easily update it through divi. Nice upgrade! This eliminates a number of css settings that I had to use to hide modules on certain devices! Also, buttons, finally an easy way to create buttons without using the CTA module! Is that Video supposed to play? For some reason it is not. Elegant Themes has done a wonderful jog again. You guys are awesome. Please add the cover page slider in the next update. MY BODY IS READY FOR THIS UPDATE! Great update. I have been using Divi for last 15 days and was feeling the need for header options, buttons and better contact form. Here they are. Wonderful. For future, you should think about how the product pages generated with woocommerce look? They look very bland compared to the colorful Divi pages. You need to do better job on integrating with woocommerce and getting similar look on product pages as well. An awesome functionality added in Divi 2.6. I like specially responsive devices adjustable layout and else. Thanks for taking care of the ePanel thing! Hooray! Looks like a great update. I’m especially looking forward to the new ePanel, and the button module (that one is greatly needed). But all the rest look great too. Thanks for all you do, ET team. Divi 2.6 looks great, I like the frequent updates and the new features are making the divi page builder better and better. I think Elegant Themes is paying attention to the top players in the field like: Cornerstone, Beaver builder, Visual Composer. That’s good cause I want to see the good stuff from them made available into Divi. Tip: add a leave comment button or hidden form at the beginning of the comments section. I had to scroll forever to get to the leave a comment section – I almost gave up. Address this important issue and boom…game over. Don’t get me wrong – all the new updates are great. But do this and watch the reaction…. So happy about the updates! How do you make a footer in the new Divi update. Hi, how do we upgrade from a previous version of Divi? Awesome! The much update anticipated of Divi. Great Job! Really looking forward to try the new features in the divi builder, its a major upgrade! That are very usable additions to an already quite fantastic theme. Nice work guys! Love to see the ePanel got some love, even thought its a back-end thing. And the refinement of the responsive settings are right on time. New and updated modules – a treat for all divi developers 😀 Thanks! So great to see all those great features added constantly! Thank you! WE ESP. LOVE THE BACKGROUND OVERLAYS & THE NEW CONTACT MODULE. 2.) as in DIVI BOOSTER you should implement the option to FIX the HEIGHT of the SLIDERS … also ALIGNMENT of the SLIDER-TEXTs would be GREAT. 3.) IMPROVEMENT OF LOCALIZATIONS: the German translation is still awful … if you want more customers in Germany (hogh potential market!) you should get a better translator, please!!! P.S. THE WIDGETS OF “EXTRA” REALLY SHOULD ALSO BE AVAILABLE IN DIVI. Fair few comments here, I use this at work and REALLY happy the button module is finally here, don’t have to mess about putting in my own divs with the elegant button classes. Wow – thank you! I can´t wait to check it out. And many hugs for the “button” module – that´s exactly what I need right now. fantastic, another major version update. Looks like my investment to ET is a wise choice. Not sure if it’s implemented but I do hope we could create something like a testimonial/contact form/any other modules to tab/popup/slider. Great update, especially the new ePanel is very cool. Thanks for listening our clients wishes and ideas! P.S. Special thanks for a new ePanel. P.P.S. Cool idea with comments. Looks great, good work, any news on when some (or all) of these updates will also be applied to the ‘Extra’ theme? Thanks guys for the great work! I love to work with Divi! Great themes. Simple, easy to use, and mainly quite beautiful. Keep up with the good work guys :). I want it. Right now. Awesome! Love the new updates. So far I have one suggestion, why’s the custom css box in the Theme Options so small (only three lines)? Would be great to see a bit more when adding custom css to the theme. Great update. I have re-joined and so far I am very impressed. So far the only question I have is, should the new device-type font size settings scale headings (i.e. H1, H2, H3) in the text module? So far I can only get the body text to honour the device-type settings. Very impressed. Can’t wait to tryout the new improvements. THANK YOU! The ability to create buttons without CTA module is what I have been waiting for. Also a special thank you for the ability to control the elements on mobile devices more flexible! Excellente mise à jour ! Thanks for the update, it looks great!! Thanks for another great update. Especially the gradient for sliders! Love it. Looking forward to additional email providers being added besides aweber and mailchimp, please add that to your list. Cheers! I’ve said it before and I’ll say it again: Divi is THE benchmark. Excellent update guys, thank you so much! Have you picked up the issue with the CONTACT FORM? I enter the Name, Email, Msg and Captcha when I press Enter it still says I must enter all the required field ? Any one else having this issue. Also how do one increase the size of the msg field? Thanks for the new features! Very appreciated the Text Backgrounds For Sliders and the ePanel new look. Hey guys, I really love the new features added to the Divi theme. I really hope to win one of the free membership’s so I can use Divi for my site! Keep up the great job. I really like your direction with Divi and how its matriculating. One of my biggest concerns, however, is the parallax effect functionality and are there discussions to have it view as intended on mobile devices (ex. iPhones) as well. Being that several media outlets are now featuring parallax within their mobile content (ex. daily news, gossip, sports articles, etc.) — not to mention other websites being built with competing builders — I was wondering if this was at minimum “in the works” amid your collaborators and developers. I think Divi is a great theme, I can’t wait to try it’s new features! awesome! Can’t wait to try this out! absolutely fantastic updates! thanks so much! Great job! You changed forever the way I build websites! And if you could add a file upload option to contact form builder, checkboxes and radio buttons – wooohaaaa, that would be the next step. Great update. Divi is really my favorite Theme. I absolutely love the new changes. The new settings page is so much better. Keep up the good work guys! Also a note: the uBlock plugin (used on Firefox) tends to block the module/section/row settings popup (that got me scared for a second). This is worth the wait. FYI “Divi ePanel Get’s a New Look” should be Gets. All features are very usefull and I have to tell you thanks! I previously tried divi 2.0 and wasn’t completely satisfied but this update surely makes me want to give it a second spin. Good job! I haven’t done the upgrade yet and had a look, but I see no mention in your announcement of responsive images, or image size selection, in the various modules which use images. If it’s not there, am I crazy to hope it’s coming soon? This is the only fly in otherwise excellent ointment. I am surprised that I seem to be a lone voice crying in this particular wilderness. INTRODUCING BACKGROUND OVERLAYS….. CONTACT FORM…. OTHER COOL STUFF… #HELLSYES ! Would it possible in the future, that all modules and the divi-theme are supporting molre languages in the interface? Awesome new features 😀 great work. When they try to install? Darn I had spend weeks to alter the E-panel to look like it does now 🙁 I really wish big changes like this would be announced in advance. I now how to redo all the clients websites to disable my custom e-panel reskin. Other than that I’m pleased to say I’m happy with the changes that have been made for the first time since the release of DiVi. So many new features, and all of them so very helpful! Great work! 2 things i’ve ran over using the update. 1. Butto module – is it possible to update the Call to action Module so it behaves like the new Button module? Or even merge it into the Button module? 2 contactform module – The new Contact module is great, but it would be a charm if you could the %%field_id%% option also in the subject field of the generated e-mail, so that you can see in the subject of your mail who wrote you, or which subject was written etc. Sounds great. Will test it soon. Thanks for getting this done. Great job! Nicely done, the button modules was something i’ve really wished for. hey guys — congratulations on a great update! just when I thought it couldn’t get any better Wham Bam! totally rocking ! do these changes apply to the Divi Builder plugin as well ? Amazing! Was so looking forward to the features allowing me to tailor the mobile and tablet experience for my website. Divi 2.6 looks great! Thank you for updating the contact form!! It’s just the new Divi Theme or the Divi plugin will have this functions as well? Looks awesome! Can’t wait to test out all the new features! As usual, great upgrade – thank you guys! It would be great if the blog posts slider will also be able to display custom post types. This is awesome! I’d love to install Divi 2.6 on my website! This has got to be the best theme and designer tool on the market! Thanks, guys. Keep up the great work. Once again you’re giving to us users the extra motivation of learning new valuable things, making things prettier (and, for many, more profitable), at the same time that you’re improving (and feeding :)) the whole divi business ecosystem. Yay for the updated contact form! My church’s site just went live yesterday after being hacked (who does that?) and brought back to live via Divi. I used a lot of forms and plugins in the old version and wanted to cut down…so I was and am elated to receive todays news. Great job team Elegant Themes! project navigation and option to enable/disable Divi gallery are the good inclusion. Amazing work guys! Very happy for the new features – especially about buttons, forms and responsiveness control. Epic! One think I would like to ask you for: a module for ‘related posts’ on the blog – would be really useful! Good news, great job guys, congratulation! This is so fantastic! I’m installing 2.6 as I type! Shame about the Contact Form Builder, was really looking forward to switching to that. It doesn’t include drop down, radio select, check boxes or file upload. I’ll stick to Contact Form 7 until you HOPEFULLY add these features. I like that the slider modules now come with a background overlay option. Nice, but unfortunately the bugs with the full width header I reported over a month ago are still not fixed. I just reopened both topics. Can you please get this fixed so I don’t need the custom css to fix this all the time? Great additions. Especially happy with the post slider addition and the header formatting changes. These features are just incredible and so helpful in many regards! The responsive design system is a total winner! Thanks for making Divi better, yet again! Hats off to you guys! You are the true craftsmen of your craft! Good news! Great update! Congratulations! Some good looking features. Looking forward to trying these out! Wow! My annual ET membership has been my most cost effective website development resource. You really get a lot for a little with ET and it keeps getting better. Thanks for DIVI, Bloom, and all the other themes and plugins and more importantly for continually making them better. Awesome. Pretty impressive work, Nick + team! Can’t wait to get started on my refreshes! This is an awesome update. Really cool features. Loved the header area now. Hey guys.. I know you get this alot, but thank you for the upgrades. they are awesome. Never would have thought I would need to upgrade to lifetime, but it’s definitely worth it. Keep it coming. You’re awesome. These are fantastic improvements to an already great theme! Thank you! You shouldn’t say ALL when you cut out lifetime memberships – sorry, but this way people feel fooled! Updates look great! I would love to see a module to add custom css/php/java so that I could insert something I see on a code site to a section of the page or to the page itself. Really excited about the new divi features. Especailly epanel and buttons! I’m totally stoked about the customizable forms! Can’t wait to get to work with it! Love the slide-in header if it was just a mobile option. Huge feature request allow us to have different nav bar options for each the desktop tablet and mobile. This would make the mobile site look way better than the drop down menu replaced with the slide-in header and allow us to keep the current menu design for the desktop. Differentiation between nav bar options on desktop, tablet and mobile is indeed a great idea! A lot of people like the idea of a different header on mobile, but don’t want to have the same style on desktop. I would love to combine the default menu on desktop with a slide-in header on mobile! I have to support this idea! If someone has a fix before Divi creates this feature please post a link! Arrgggh, need to upgrade to Lifetime access!! Awesome updates and additions. Keep it up! Wow some really good updates have been added! Congratulations for your great work. What would be great too, is to make translatable the entire theme’s admin panel. Already a Divi subscriber. So when is the update being released? Not showing up yet in WordPress. My site is in development and would like to use the new features. Can’t wait to get stuck into Divi’s new features and updates. Mother of God…I’m going to have spend the weekend going through these. This is just what I needed for the next site I’m working on! Perfect timing! Please stop forcing ‘designed by elegant themes’ footer with every update it’s insulting to have to manually remove it for the zillionth time. I’m glad this bothers someone else. I think it’s despicable that we have to change it manually every upgrade. On FREE themes, I understand, but on premium themes there is no excuse. This really degrades the entire theme in my opinion and doesn’t reflect well on your company. Thanks for this awesome release! I seem to have an issue with the ajax timing out when adding a text module to page. I’m not sure if this a bug, or if this version of divi is dependent on newer requirements on the host ? Great work, it is getting better and better. Can you tell me if these problems are due to the update and how to fix them. Thank you by advance! And again, great job! And continue like this! I’ve worked with my child theme and change font size of the title of Fullwidth Slider by new your controls for every device. It works well for desktop and tablet, but in case of the phone, Web Developer in Firefox show me, that the style of Divi parent theme is more important than this setting (strikethrough line on the CSS inline declaration from Responsive Editing Controls, override by .et_pb_slide_description .et_pb_slide_title from Divi/style.css:14760 where this value is 20px). It’s great idea with REC, but today I need to work with my own declaration by media queries like before. The same problem occur when I switch on the Divi parent theme. THANK YOU for the Post Slider Modules and button modules!! The Post Slider was the one feature I missed from the Elegant theme I was using before switching to Divi!! Psyched! Can’t wait to start using the new features on my websites! Very excited about this new version of Divi. We can’t wait to start recommending Divi to our new students in our course. We really can’t wait to start developing even more websites for our clients. You guys are the greatest. I’m really liking the upgrade to Divi as it lets me slim down the number of plugins on my site and provide an elegant presentation to site visitors. Just one request about the contact form module; it would be awesome to be able to integrate that with an API for list management like MailChimp or AWebber. Maybe in v2.7? You can use Bloom plugin that is included in ET membership. Awesome. Divi just keeps getting better and better! It continues to be my go-to theme for any website! Thank you!!! Have I told you lately that I love you folks that Elegant Themes? Seriously, I thought the previous Divi was amazing, this makes my head explode! I would love to win a membership! Just buy one. It’s not actually expensive for what you get. I’m excited to hear about the new features! As usual, great work and fab new features. A Lot of Improvements! It ‘s great. The full screen header and button module are NICE! I like the background overlay option! Awesome! Excited to see the changes in action! I’m a member since 5 years and I saw you getting better and better, Divi is just the cream of the cream (like we say in french “la crème de la crème”). Divi 2.6 sounds fantastic especially for those of us who are NOT developers but still need a website that works for us (not us working for it) with a sophisticated, polished look and sleek performance. Thank you and congratulations! I’ve been watching the progress for awhile now and was impressed every step of the way. Divi is a keeper, Very nice work! Very Impressive, especially ePanel Transformation! My only wishlist item for Divi is a image gallery that doesn’t look like an afterthought… or something from 3 years ago. Not all images fit in the 4:3 format. Not everyone wants images all neat and orderly in rows of equal size and space. I can override css and get rid of spacing, but I can’t create a masonry-style image gallery without doing a lot more customizations than I feel I should have to do. Otherwise I love Divi. It likely is the last theme I’ll need for my site and all the other sites I create. Thanks for all that you do to keep things moving forward in the WP world! I totally agree. That IS my wish list. Posting a comment because I really want more image gallery options for Divi too! Custom sizes for different screen sizes…. AWESOME! I’m very much interested in getting to know the ins and outs of the new version. I like button module, text backgrounds and maybe much more, but I can tell about it nothing until I’ll see Divi in action. You are doing a lot of improvements for WordPress and I should be gratefull for that. I can’t wait to see all the new features!! Hoping to try this theme for our BC Fishing website! Hey thanks. This looks very exciting. Look forward to trying out Divi. Congrats. Looking forward to checking out the new features! Elegant Themes always do great job! Great new features!! Always staying on the cutting edge with this one! Kudos for an excellent product. Congratulations. You have implemented several important things. UP ever. I’m a big fan of Divi, so looking forward to learning more about the update! So how does this work with child themes? The responsive editing looks unique. Very exciting, can’t wait to start playing with new DIVI! The background overlay settings and the customizable contact form are by far my favorite feature updates! I like Divi – wish it was compatible with other themes’ content! Excellent work! Divi is really amazing. I love the look and flexibility it offers. It’s very professional looking and offers every tool you could need! WOW! Love the new Divi layout! The form builder and header modules are just simply awesome!! Loving the overlay too. I’m re-experiencing the Divi theme all over again and really looking forward to using my favorite WP theme now with all our search engine marketing and website design clients. I am excited to see these modern design features included, you are making it hard to select any other theme! Extra is one I use also, but Divi is so versatile. Great and awesome, Thanks for the new look and feel and better update and awaiting mine to come. At last epanel look and feel same as divi. Definitely most excited about the form builder! Looks great and I can’t wait to try out. Wow – just checked through the changes (took some time!) – well done to everyone in the team @Elegant Themes. Although I am kinda new to actually building out sites, I am loving Divi and excited about the new features. It is really nice to have 1 theme that can do it all so to speak. No need to learn 10 different themes anymore. DIVI looks great, can you use it for ecommerce too? Also not to be overlooked, I just love the new widget you recently released called “BLOOM” it is the Bees Knees!! We use the Foxy theme on our site and it looks a zillion times better than the drab site we used to have. New features looks great.It would be great if I could win this contest. Does the Divi framework have a way to add rotating banners for advertising that has the intelligence to tally clicks, impressions, and tie into advertisers’ accounts? Nice update! DIVI just gets better and better. I am very interested in perhaps using DIVI. I am on the hunt for the right tool for my new business. I am thinking I this is the route to go. I am not a developer, but a self-taught techie. The upgrade is making me feel like I want to make the jump. Decisions, decisions! Nice! Superb features. Looking forward to check them out! I have always wanted to own this theme. Now given this upgrade, I am sure this is the perfect time to buy! Great theme! Its AWESOME. Thanks team. It worth it all the money invested on my life time account. Thank you guys you rock…! DIVI is such a great theme and with each update it just gets better & better 🙂 Yet another great theme offered by Elegant Themes!! I love the Divi theme and am looking forward to setting up my new website on it! great stuff guys, cant wait to update my theme. Somehow it looks as if all websites run Divi these days. Everyone of these updates is so welcome and helpful! Thank you for your work on Divi! Sweet. Just gets better and better! Love the Divi theme! So versatile! I really love divi theme.It makes building websites fun.I came across this few months ago and now with this new updates i think you got me for life.i really recommend this to anyone who wantsvto build beautiful fast websites. is it purely a design change for the Divi Settings? Or are there some new options hidden in there as well? I have to add that I am amazed at how often new updates and improvements are added. I purchased an annual package through you and two other companies for my first year of WP usage. I tried Divi, tried one of their themes, and went right back to Divi. You’ve added numerous improvements, one of those companies added a single plug-in, the other has added nothing. Guess who I am considering for the lifetime membership?… Not the other guys, obviously. Nice to have: a review module (including schema markup). That would make it even awesomer! Thanks a ton for this amazing product and service. As an avid user of Divi for the past two years, I can say I’ve loved the recent changes. Making the headers easier to style is a big improvement. Just the other day I wished that the ePanel would see some improvement. Then your announcement hit my inbox. Nice! Can’t wait to update and test. Thanks! This is awesome!!!!! Can’t wait to work on the new theme! You’re doing a very good job with all the functionalities you are adding to this great theme. I want to say congratulations to you and all of us who are receiving such great updates. Great update and like the new look of the Epanel and additional CTA buttons! I know there will be bugs initially but the great thing about you guys is how responsive you are on both technical issues and suggestions! Love the new update. Especially love the work on transparent overlays on background images and increased text visibility. A big improvement! Divi Theme is so nice and reliable easy to customize. I am using this for my site…. Extra ! Definitively the Best Wp theme ? Yeaaaa que buena actualización y que buen premio para celebrarlo. Looking forward to testing out the new features of Divi! How I wish I could win this time..I really love the features and truly believe it’s the best thus far in the market / world of themes..
Greate update! hope to have this! Nice to der that Divi has been improved further. Very curious to See the New contact Form in action. Still inspiring, giving more, getting better and better.. thank you! awsome ! I think I could purchase one ! OMG, where to start? New modules!!!! Each one is an awesome addition! Although, come to think of it, the Post Navigation is probably my favorite by a very little bit 🙂 Improved modules!!!! Where to start? Naw, can’t choose one. Redesigned ePanel!!!! Yay! Okay, now that my little fan girl moment has run its course, I can’t wait to go test drive the Blog module with the improved CSS. I hope to have a lot more flexibility over the masonry layout—that one has always been a thorn in my designer side. FInally! Been waiting for this for a long time. This makes life a lot easier and allows things to be fine-tuned that were tricky or impossible before. And not just one improvment, but several at the same time, and then some more unexpected ones on top of that – it’s awesome news! Can’t wait to upgrade to 2.6. Great job guys. I love the responsive editing one! Beautiful. Simply the best wordpress theme on he planet. Keep up the good work! Looking forward using it looks great! OMG. I was waiting for the same. The BEST becomes BETTER after each update! Keep up the good work, thanks! Congrats Nick & the rest of the ET Team! What an awesome work with the new DIVI 2.6, I’m really impressed with the complete redesign. Big thank for the new buttons. There are great. And thanks for the update for the Extra Theme of Version: 1.2.1 -> Now I can change the logo size and the background color. Great. I will test the new ePanel. Cannot wait to check out the new updates! Thank you to all this fantastic team. I know zero about coding but with Divi I was able to make my own website and improving it at every new update. You have done something great with Divi and I am enjoying it every day! New headers looks interesting. I’ll try them on. I have been a member since 2012 and I saw Divi grow from an essential but powerful theme to the most versatile and elegant theme. Excellent and nice! Superb features. Looking forward to check them out! I love work with Divi theme. Thanks for the great job! For me, worth it just for those text slider backgrounds! Gives me a much wider choice of pictures to use from. As for the rest, wow! A big thank you! Hi ET, this is a great step forward. I remember on times I wrote hundred of css code to change the looking. It is going much more easier and the possabilities are amazing. I tried a lot frameworks but this is the best. Good job and I thanks for more and more good layouts coming in future from FLYINGFOX CREATIONS using Divi. Awesome! great work as always. Looking forward to seeing/using it. Looks great, would love to use this. I really like the material you guys are providing to the community. Awesome looks and performance! Well done guys! Enhancement and improvement in responsive features are one of the best improvement. Just launched a WP website with Divi as the theme. Love pretty much everything about it. I love it! Exactly what I have been looking for! Thanks! We can use this theme for ecomerce website business? Great job Nick.. this update looks great! Will these improvements make it to Extra (if they haven’t been incorporated already – I’m not sure as I haven’t had a chance to really delve into Extra yet)? Any chance of making it easier to add other web fonts (other than the usual Google Fonts already included) without having dig into code? YES!!!! Typeset integration would be a HUGE bonus! Oh yes please. Typekit integration as well! Brilliant! I have been hoping for so many of these!! That very cool thank you very much ! Love the new update! Was hoping for a few of these new features! Great news! I will for sure download and test it out tonight! Great work! I’ve been using Elegant Themes for years. Divi has been a game changer! The constant improvement and upgrades put you at the top! Your update was right on time! I am in the process of developing a new site and have another project lined up in a couple of weeks. Wishlist: It would be great if you added a feature to import your own blurb icons easily. I’ve been trying to upload a custom blurb icon for massage therapy but cannot get it right. Not sure what I am doing wrong. Can’t wait to try out these new features! Good to hear the contact form has received a bit of love. This is awesome. I just love this version upgrade. Thanks guys for listening and providing the best DIVI. Ooooohhh … can’t wait to roll it out, especially the new contact form and header. Thanks Nick and team! I have been pretty impressed so far there is just one feature I feel like that would really make this just amazing. I wish the new font features were available for the module customizer settings so there could be a default setting with the sizing for each device. As always the Elegant Themes team has outdone themselves again.!! Fantastic update! Keep up the great work! Looks great! Love the overlays, comments and panel. Nice job! Just a few days ago I decided to become a member and love it more every day. Completely new in building a website I think even I can do this. Thanks! Awesome theme with awesome features! BUG? Great update, but it f*cksup my page tekst layouts, every time I change one little thing on a page. I use TinyMCA advanced plugin to: Stop removing the and tags when saving and show them in the Text editor. (this in order to keep a free space between lines (sentences) in Textbloks or Blurbs of Pricelists. Anyone has a solution for this? Please make sure you have cleared your site’s cache. If problems persist, disable each plugin one by one to see if any of Themis causing problems. This has been brought up in numerous support forums and each time your ET support say “it is a known issue and being worked on by the developer”….been the same answer for months. bottom line you have got to figure out to stop DIVI from stripping out page and line breaks from the visual editor…every time you save a module they disappear…leaving a giant block of text…happens in text modules as well as others. Can’t wait to get set up with the new version! That’s an impressive set of improvements and new features. It’s going to keep Sam and his Swiss Made Marketing team on their toes! It is so much help to watch the film/tutorials, but please no background music, I am completely distracted by that. Making a nice living with Divi. Thanks for making a great product, and being so consistent in its support! Seems to be great ! Love this theme and the power of the Divi Builder! It has saved me weeks of web development for my new clients. Thanks! Your blog posts are much valuable, as your themes! Great! Is there anything Divi doesn’t do? Divi 2.6.1, so far, brilliant. Looking forward to diving in. Love Divi even more now- and that’s a lot to say! I had a elegant themes account thats expired, now for divi 2.6 20% offer all new accounts and upgrades have offer, what about me neither i am a new user nor am i a existing user looking for upgrade. help me to get this offer and make pay,ent and signup. I do not want to create one more account. Divi is the best ! Cheers. I hope I win!!!! 🙂 I really really REALLY want a Divi license. Great work guys!!! Keep it up!!! The new incarnation of Divi is wonderful! So many things added that we had been asking for. I can’t wait to start using it. These features sound great! May have to check it out! I love the new features and modules and I looooooooooove the line item veto! Great work guyz. DIvi Rox as always. Looking forward to taking this out for a spin! Build Tight integration with Woo commerce, Advanced Custom Fields and Gravity Forms. Then you will have a perfect product. Until then its really great to use Divi and I love the way it keeps getting better and better. But why not bite the bullet and make it perfect? Just took it for test demo. This looks pretty awesome guys. Finally the Fullwidth Slider can display Posts! Wonderful feature! This is awesome!! I love Divi! You guys are outdoing yourself every time! I’m excited ! DIVI is currently the best theme in the market. Iuse it since the start and it just gets better. Just great !! Thank you for making web design so much easier than it used to be! I came across Divi last March. And I must say that using Divi was one of the wisest decisions in my life. I like the Westcoast-feeling of Divis Design. This has a special character that is cool, clean with a touch of friendliness of a 68 Hippie. Wow this theme is getting better and better by the day! Well done! I’m really considering to buy this theme. Looks really promising. Anybody experience with custom post types within the divi theme? And is it possible to create templates? Thanks!! Thinking of switching over to Divi, with the discount it looks like I’ve timed it well! I think a cool option would be if I was able to choose the fullscreen and/or slide-in menu option for the “tablet/mobile” menus while using the regular visible menu items for the desktop menu. So the best theme around just got better…again! Great work guys and gals. What are you using for your contest? Looking forward to improving my site even more! Great work guys…really hop eot see Optimizepress on the list of integrations that you are working on fixing! Love it 🙂 I am really happy about the new features. Thank you!! Awesome, looking over the new features now and trying to decide how to make the best use of them! Love the Elegant themes I’m using but looks like it’s time to switch to Divi! awesome. Will try to port my multi-author magazine type of blog on this. As soon as I updated my client’s theme, a small input bar appeared underneath the message box of the contact form. I can not even remove it. I have seen some people having same problem but mine is not solved yet. Please help! Ok problem solved. The input box disappeared now. Thank you Elegant Themes for the best WordPress Theme ever! The improvements are really exciting, good job guys! I just want DIVI and Monarch. awesome goodies from elegant themes team. The new Post Slider Module is just what I needed right now. Great! I like the new mobile/responsive options too. Thanks! I went for the one-time-fee option a couple of years ago, pre-Divi and it just keeps getting more and more amazing. Your timing on this crazy-good update couldn’t be better, either! Love, love, love this theme! Divi rocks! Great work on the update. One feature I would love is a hide default menu button in the options. when creating a custom menu it still tries to shoe the main menu. I know you can go in and stop pages from showing but when you go on mobiles or drag the edge of te window in the 3 lines still comes up. Or am I missing something really obvious? I apologise for my terrible typos in my previous message. That will teach me to try typing on my phone…. One of the best updates yet!! perhaps one of the best theme’s out there. I can’t wait to start using Divi 2.6!!! Three words for you and your team, not only for Divi, but your whole suite: Excellent. Excellent. Excellent. I would have written “elegant” but that is already apparent in three areas: coding, admin. UI, creative direction. Thanks. Webdirexion LLC (a digital marketing agency) has been an Elegant Themes believer for several years, and not only have you not let us down — you have exceeded our expectations and progressively supassed our imagination. Feel free to use this in your testimonials. It’s the least we can do. SO excited about these changes!! They look awesome and I can’t wait to use them! Especially the blog post slider and the responsive customization options! Divi is the gift that keeps on giving. These are fantastic. Thank you for your work. There’s no better theme than Divi. I’ve tried a few so I’m looking forward to the update. Good job guys! You really have made the one theme to rule them all! So excited for this release. The new features look great – especially psyched about the overlay slider thingie. Can’t wait to upgrade! Is it possible to have dropdown fields with the new form builder module? I’m curious to see all the new stuff when i upgrade a client’s site in the next few days. oh man, I so want this! Will Divi evolve to use WP REST api? Or is ET looking at developing a new theme built using REST? I am happy to see that the contact form got an update. What I am still missing is the possibility to add “radio options” which would make it just perfect for me. I am happy to see that the contact form got an update. I am still missing the possibility to add “radio options” which would make it just perfect for me. Divi is the best theme on the market, we stopped using Joomla all together after purchasing a subscription to Elegant Themes. Do you have plans for the Blog module? Nice work, becoming a great design platform. I’m looking forward to try the new features. Divi is getting better with every new update. Thank you for your hard work. This is an incredible update. Just finished a website with Divi 2.5, and all of the new features of 2.6 is exactly what I thought version 2.5 needed. The new ability to scale content for different viewports is extremely useful. Looking forward to this new upgrade! I am already a member. Do I have to have a developer account to get the upgrade? I would like to leave a suggestion. Is this the correct place? I would like to find options to make the page accessible for people with disabilities. 3 options of text size with icons on the top bar. The option to change to high contrast/Black and white screen. These are basics that most of the websites should have integrated to accomplish with the web accessibility standards. Where can I find documentation or videos showing where the SLIDE-IN HEADER configurations area?? When the new Slide-In header is enabled, your primary and secondary links are consolidated and hidden within a classic hamburger menu. When clicked, your menu items slide in from the side of the screen. I was expecting the live preview ‘ as you CSS ‘ , the main update in this upgrade! I think if you guys add that feature, Devi will be 10 times more fun to work with. If there is tutorials coming soon as well, please be sure to advice! We’re sold on Divi and now build most of our websites using it. We got a rush job for a total custom website design/development job on a Monday and had it fully completed before the end-of-day Thursday. No. Really. Our only complaint is that the content box in the text module (and all others, too) to enter the actual text/media content is much too shallow which leads to endless scrolling up and down to perform content pouring and editing. But given Divi’s flexibility to make the design process very interactive, allowing us to refine the design as we move through the build process, makes up for that limitation. Keep up the great work! Can’t wait to see Divi 2.7… and 3.0! Just updated. Getting very odd response from Divi Builder. I can add new modules, move modules, copy modules but I can’t edit modules! Even my previous existing ones. I was excited to hear about the comments module for pages. I added a comments module but it won’t save or allow me to edit any customizations. Any ideas? Just updated.. it’s awesome.. thanks..just one issue. Phone numbers don’t seem to respond off mobiles now I’ve updated to the latest version? e-Panel got a new look! FTW! Divi keeps getting better and better. Hello good article and very descriptive. I have a website with divi 2.5 and divi I upgraded to 2.6, the builder does not let me divi where the three horizontal lines, but if you let me clone, delete and other functions. What could be the problem? I disabled some plugins, but remains the same. I have the latest version of wordpress. Stoked on the mobile options for all aspects of the site, this will make things so much easier when building a site. Won’t have to worry about ugly mobile site out of the gate! Please in the contact module add a checkbox field for privacy terms acceptance. In Europe this field is required by law… your module; as it is now; can not be used, it would be great to solve this problem..
A new user….so still finding my way around. 1st impression is that Divi has a lot of power hidden within the builder…but it’s difficult to find stuff….eg how do I create a button that looks like a button and not a flat shape? I’m also finding the page layout grid sooo “in your face” that it’s difficult to imagine what the underlying pages look like while you’re building them. But I’m sure I’ll get over the hump. Would be thrilled to win this! Background overlay is a great idea!!! Yes!! Although, I am having trouble getting it to work. I can’t seem to find any tutorials about it?? I really like all of the great new features that are in this release. I especially like the new ePanel look and the responsive features. Awesome Theme, thanks for this Update! Is it possible to upgrade Chameleon in order to get these changes, to widen the fronter for example ang adjust the width to devices used? We want to be able to wide the fronter and take away the background sheet. Is it possible in Chameleon if we update it, or is it only on Divi? I tried the Divi theme for the first time and I’m excited. Very good Job. But I have some Troubles adding modules. When I try nothing happens. Any idea what the cause of this can be? Thanks for the video, this helps. But the Problem I have is that adding modules does not work anymore. With 2.5.9 everything works but with 2.6.1 when i try to add a module the mousepointer rotates infinitely, and nothing happens. I have Apache 2.4.10 running. Having same issue here. For me 2.6.1 worked great with no issues. Just updated to 2.6.2 and having issues adding any module to a standard row. I get the initial loading action but then it locks there with no option but to leave the page. Is there a legacy 2.6.1 for download? Have a deadline today. Please help. OG Divi user since it’s first release. Thanks! Same here! Updated to 2.6.2 and any editing to any modules simply load the loader gif and nothing happens. I kinda also need this urgently as my client is going to view the site soon. I dont understand how you turn on the overlay on the image module? Same – loved this in the demo – cant see an overlay setting in the image module? I really love the direction you guys are taking Divi. I’ll second everyone regarding a focus on more seamless integration woocommerce. I’ve been suggesting that for a while. I think that’s one of the big showstoppers for me. Your customers would likely make much more money from being able to deploy Divi as an e-commerce solution without the hangups, hence creating more demand for Divi. E-commerce and real estate customers dominate my projects because the payout (as well as demand) is higher. What I would love to see are product pages/layouts, maybe listing-type styles, and single-product modules! Thanks again for another impressive release Nick & team! It’s a pitty (or should I say ‘missed chance’) that the new Post Slider module doesn’t work for projects. Or that there is no equivalent for projects. Now Divi cPanel looks most appealing than its previous versions. Elegant themes team should enhance Divi Blog features likes their display style, at this time Divi blog layouts are not professional but that framework stuff is really cool 🙂 Love it. Updates are good but no mention of load speed ,- has that been improved? I found a bug in Advance Design Settings, when we use custom style for button, the settings are saved but when we re-open the tab the selector are not positioned on the selected value, I mean if I set the border radius to 3px, I click on save button then I come back, the value is saved, I can see the result on the website but in the admin the cursor is still on 0 (far left of the slide). It would be also nice to be able to save somewhere the settings for a button, because when we use the them custom button on many slides it’s a big waste of time to set buttons one by one. I would definitely want to try this awesome wp themes soon. You guys are simply rocking. When using the new half page or full screen menu options, is it possible to incorporate the mega-menu feature? Especially when using the full screen menu to make all that dead space useful? Hi, I am an avid Divi user and love the new update. However, I am having a problem with the blog post formatting. It seems to have been removed from the “screen options”. I ask because I created a custom blog but am only able to create the normal text blogs. THe option to make video, audio or other blog posts is not available. How do you guys create this great animated Gifs on theses exemples above? I’ll be very happy to learn that! Yes you can create mega menus with Divi. Exciting release. Divi is a theme builder providing services to WordPress Enterprise Web Content Management Solutions to design and develop beautiful and feature rich websites with ease. penning down the highlights of Divi 2.6 that makes it stand apart from other theme builders or even make it better then such builders available over other CMSs like Sitefinity, Umbraco and Joomla. The responsive theme builder is an absolute pleasure in 2.6 that allows developer to manually set the exact shape and size of a section. Better search option will enhance the usability of this theme. Designing tools like background overlay and text overlay are interesting. I have designed such themes in Umbraco and Sitefinity and found it very interesting especially to enhance user experience. The new epenal will have easy to use features and will help websites SEO. I am sure that compatibility with various plugins and inclusion of new templates would make Divi a better platform (yet to use them). Just one question: is there a way to increase mobile logo height with fixed navigation disabled? I use a portrait style (vertical) logo, and when I switch to mobile view it gets really too small! I’m new to Divi and what a great theme! I like the Full-Screen menu, is it possible to activate it only on Mobile? What I want is to switch the hamburger menu for Full-Screen menu! Thanks for any help I can get!